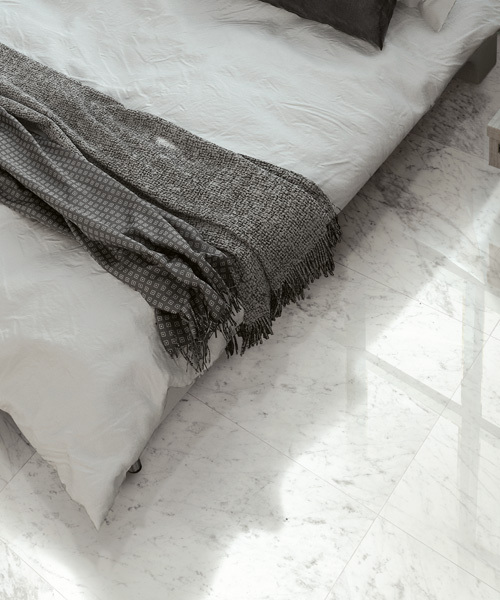 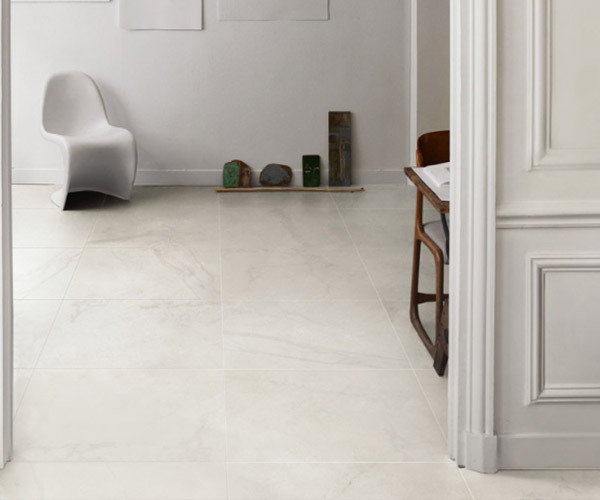 At Southside Tile we have a series of stunning natural looking Carrara porcelain tiles from standard sizes to marble mosaics – from whites to greys. 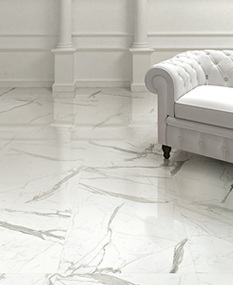 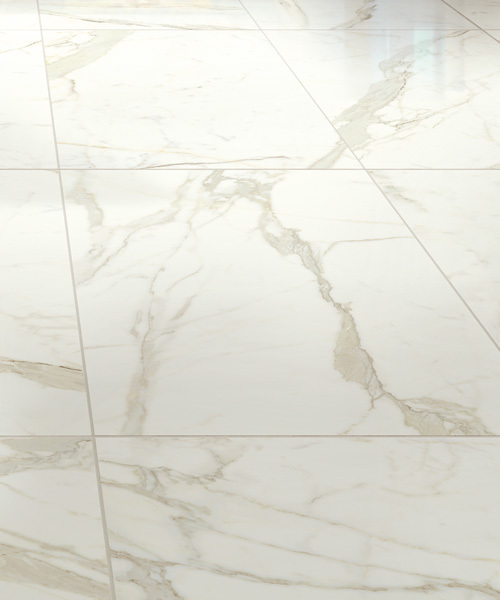 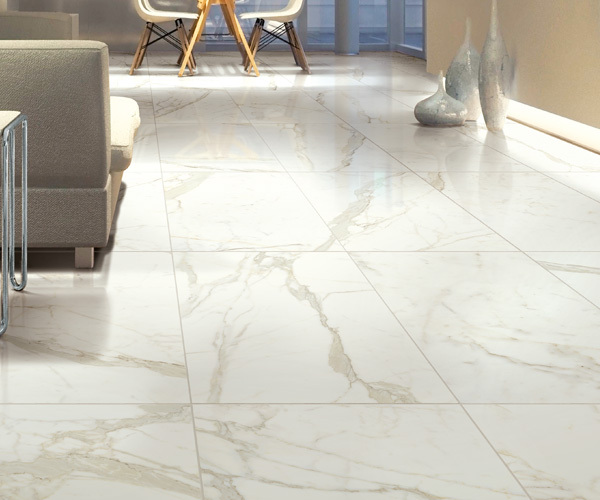 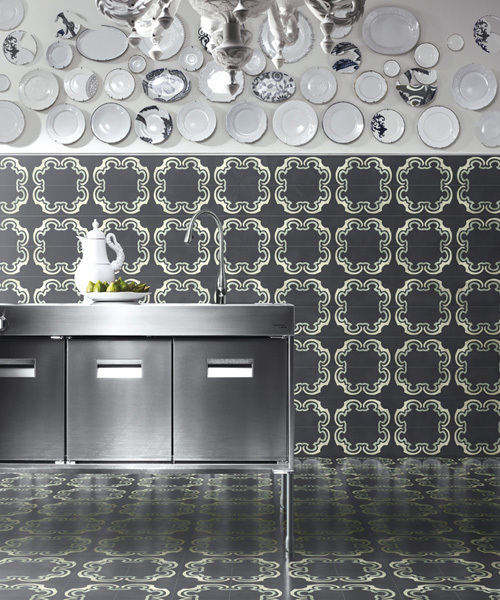 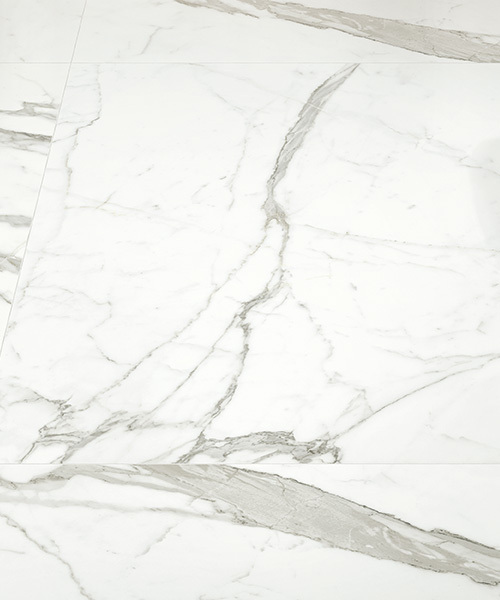 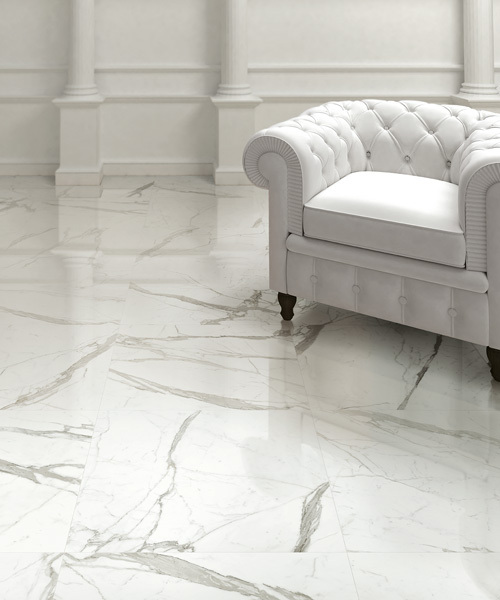 Our collection extends to Italian marble tile prints on porcelain tiles. 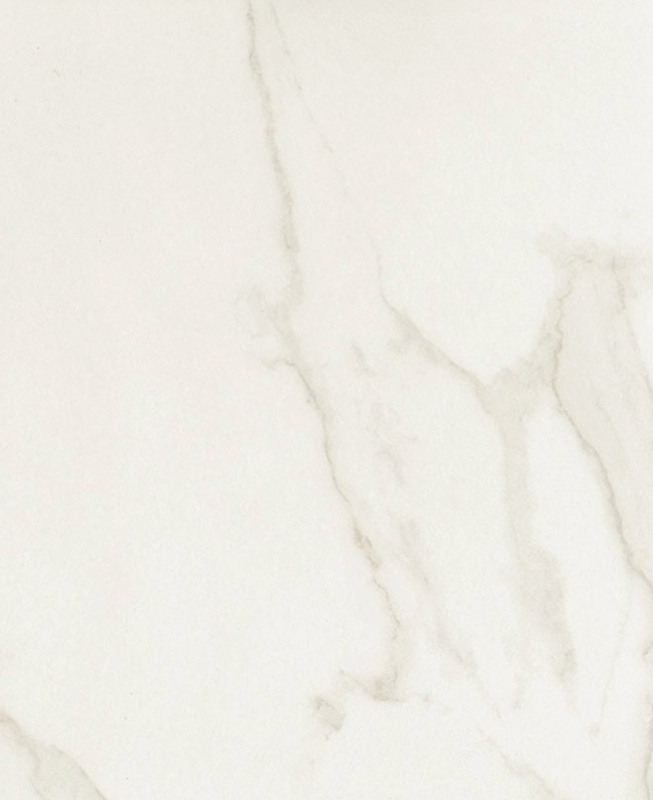 A truly realistic marble print with endless shades and an impalpable glow. 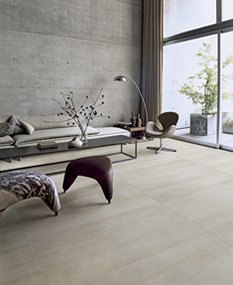 A sense of realistic defined characteristics supported with strength and durability. 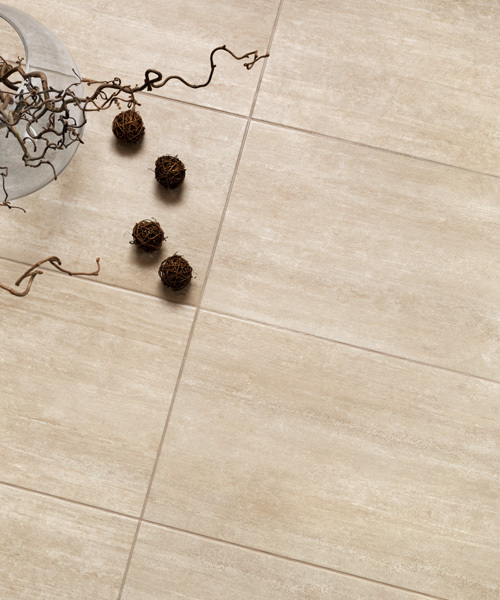 A collection of porcelain tiles inspired by nature. 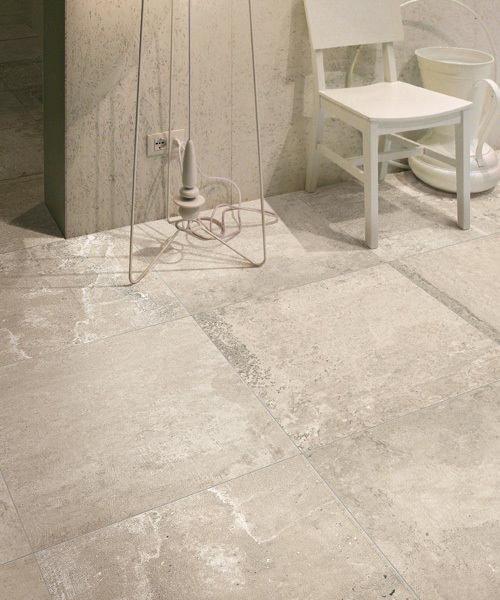 Our Italian range of life like stone tiles designed in various shapes and natural shades reflect a warm intensity of naturalness and richness. 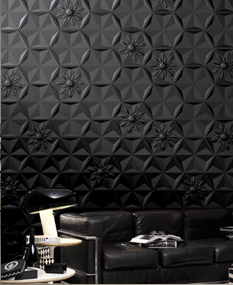 The designers constant attention to the latest trends in interior design and the excellent technical performance makes these products suitable for all type of architectures, either residential or commercial buildings, for interior or exterior arrangements. 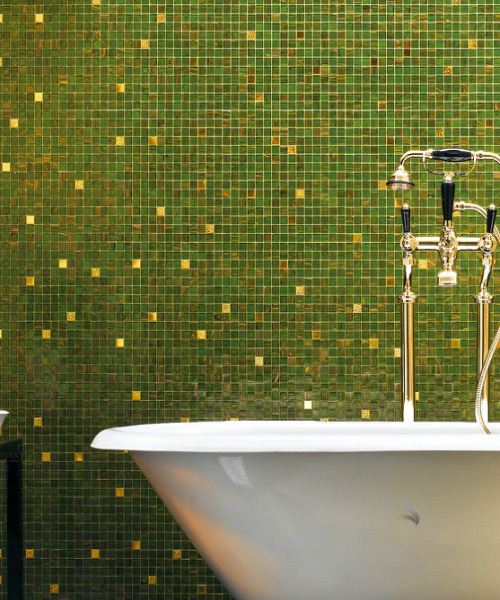 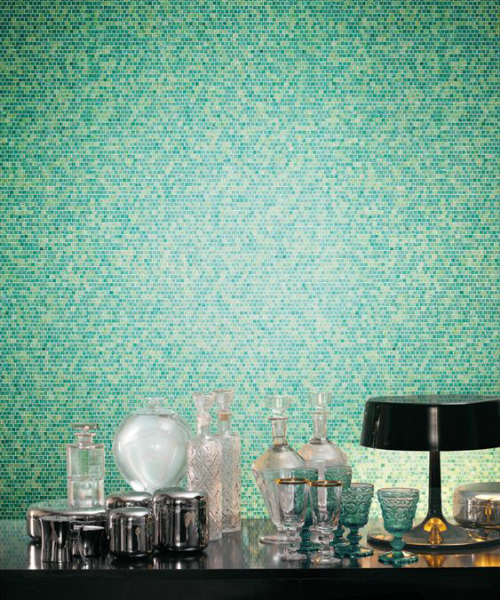 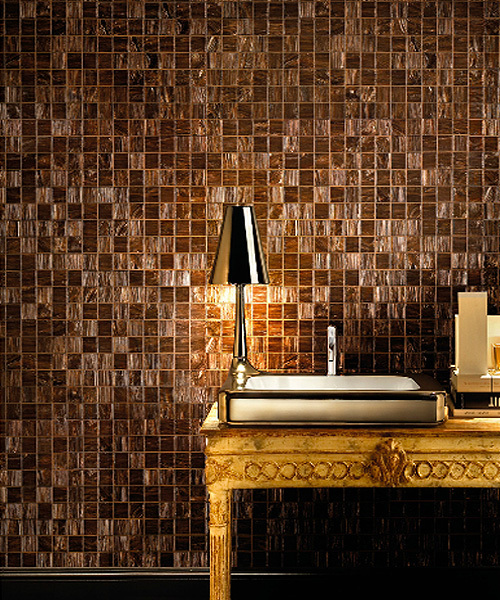 A diverse range of enchanted mosaic tiles. 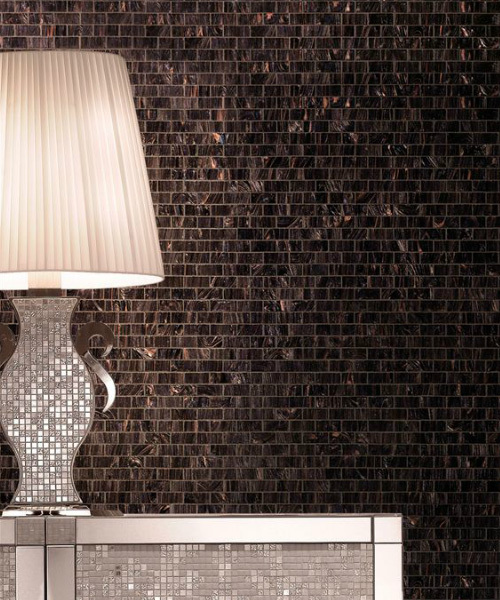 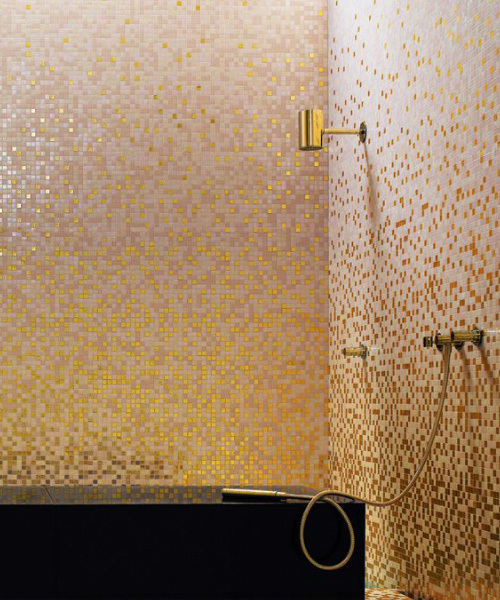 The mosaic collection designed by distinguished and well known designers showcased in Milan Design Week and on show in Paris portray innovative decorative options suitable for any living environment embodying an elegant and sophisticated signature. 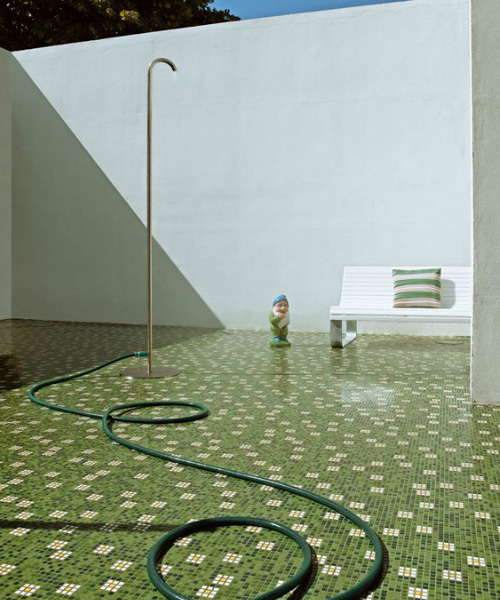 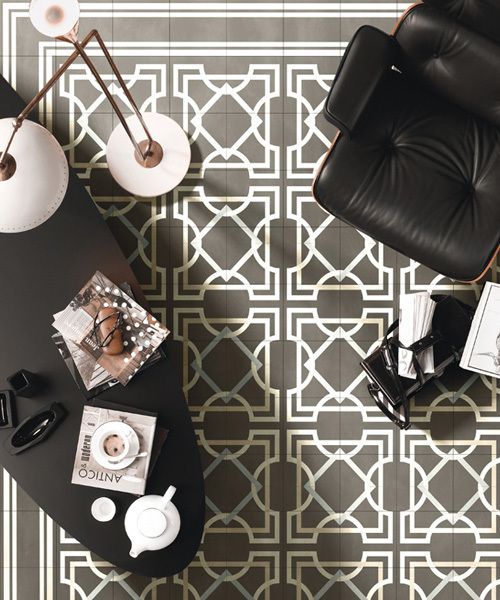 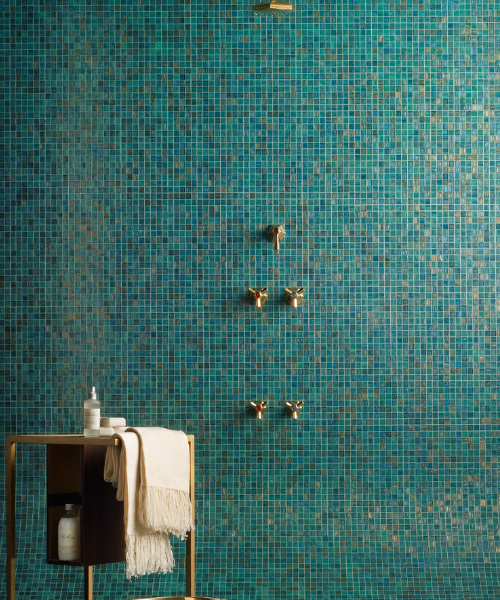 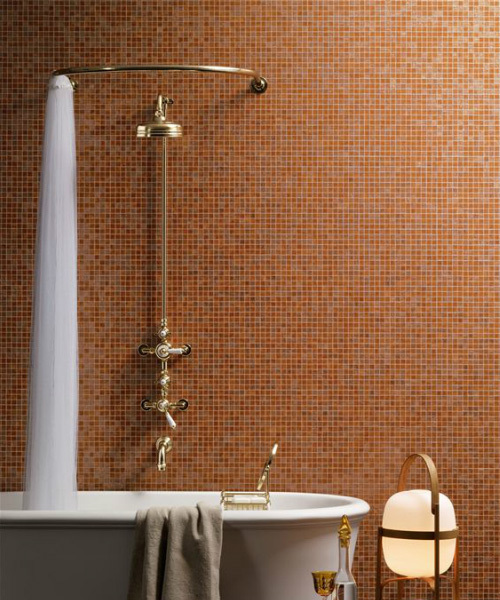 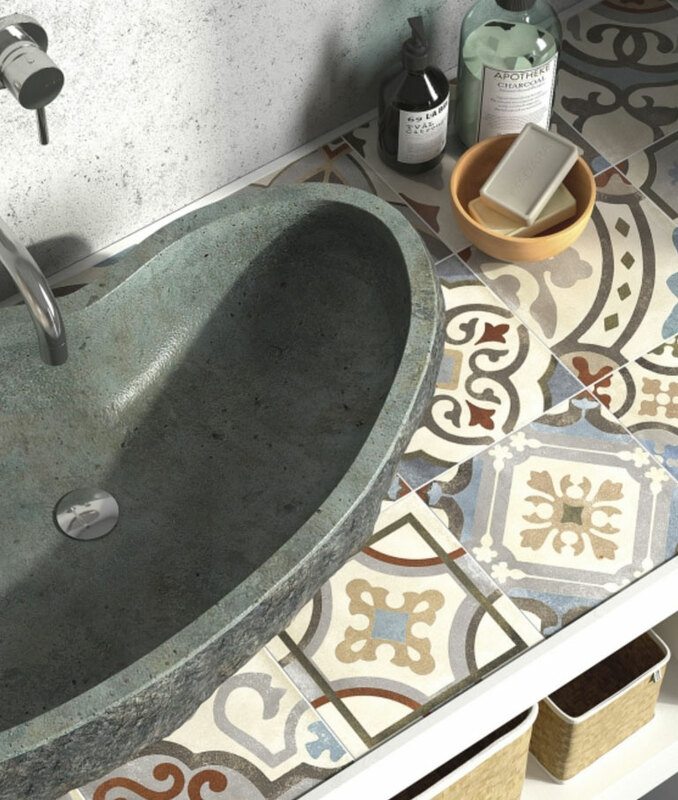 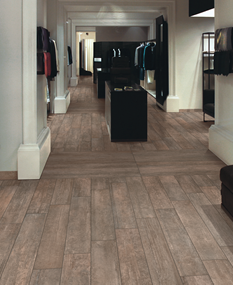 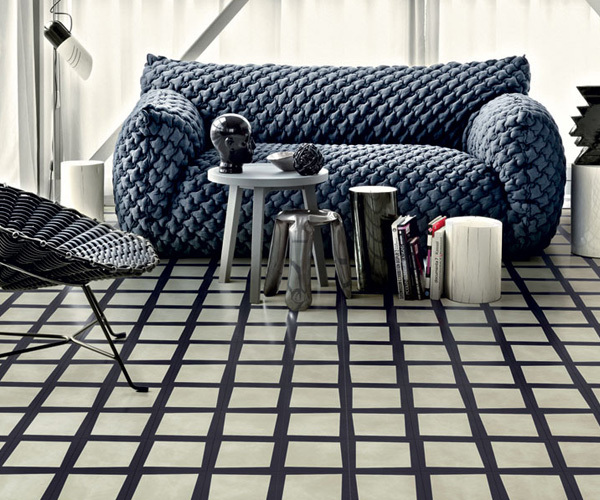 See in-store at Southside Tile the mosaic trends, colours, blends, shading blends, boarders and more. 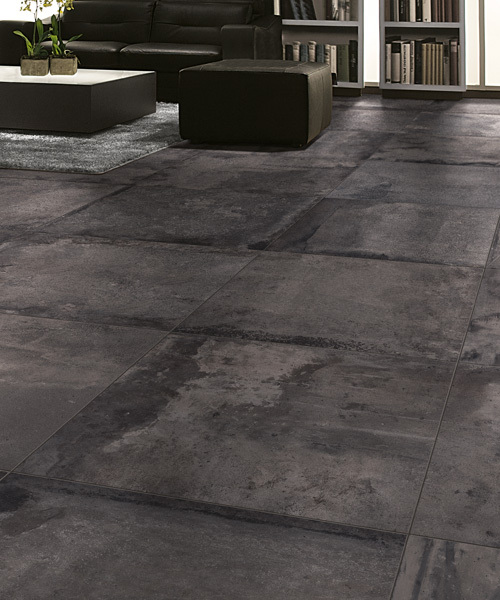 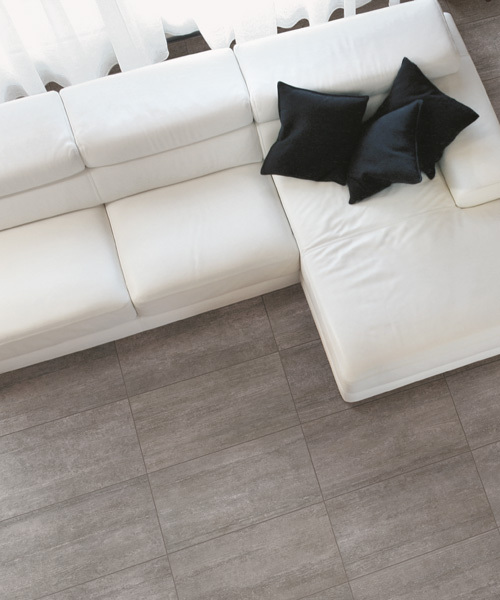 Large format tiles, neutral shades and smooth lines create a surface that is discreetly distinguished, taking you into an urban atmosphere and giving an avan-garde style to the most varied of spaces. 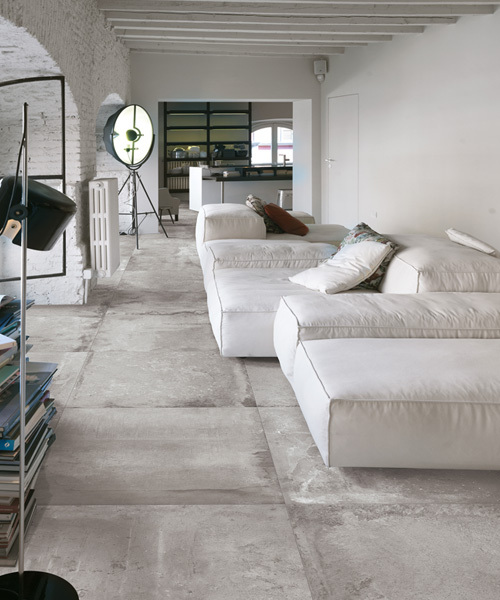 The concrete look is designed perfectly to adapt to the new trends of contemporary architecture. 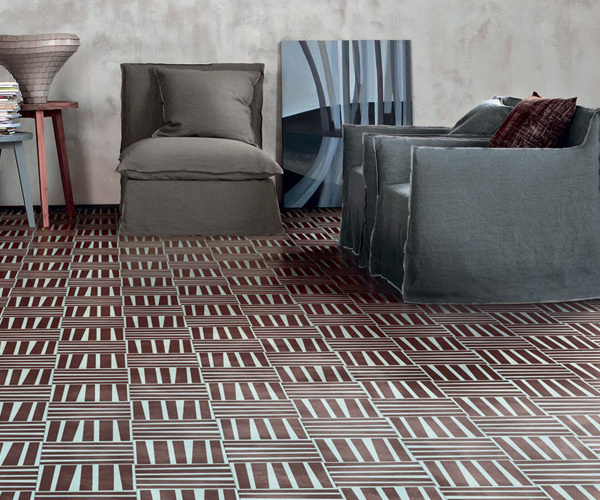 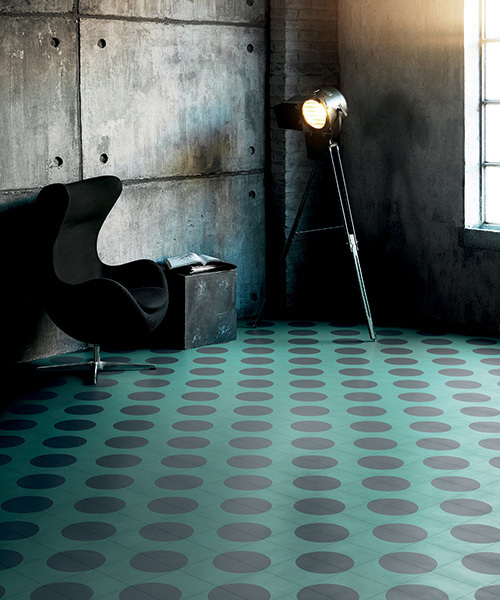 A series of protruding (3D) porcelain tiles designed to excite and provoke but never fail to surprise for its ingenuity. 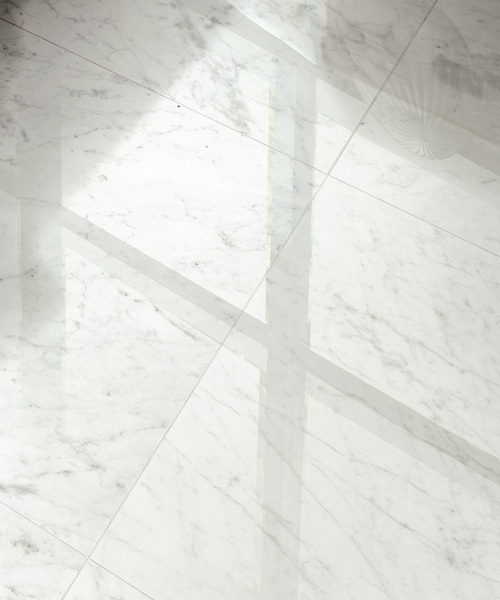 A daring quest to uplift the human spirit and entertain. 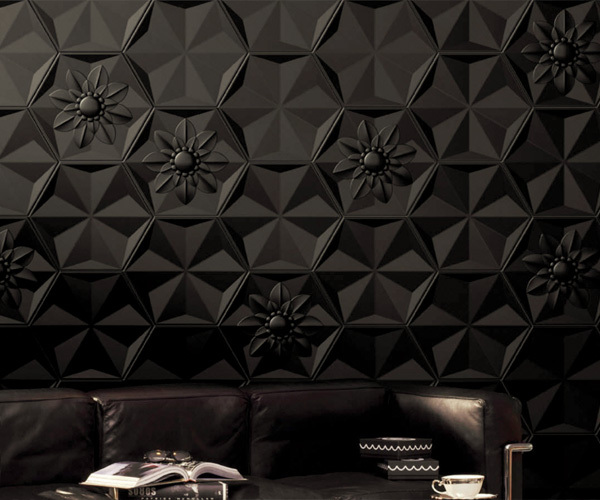 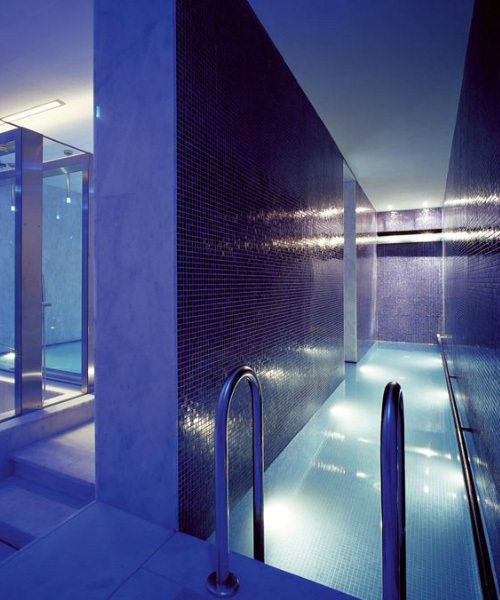 A design philosophy by one of the designers Marcel Wanders – bringing the human touch back into design. 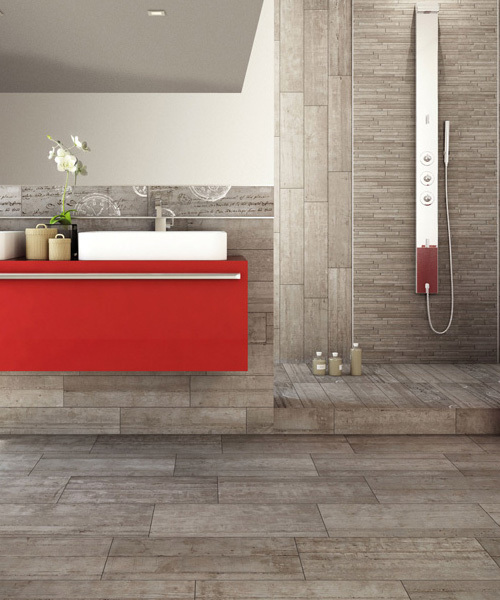 The selective Southside Tile range of protruding Italian tiles are seen in assorted shapes, patterns, colours, styles and textures. 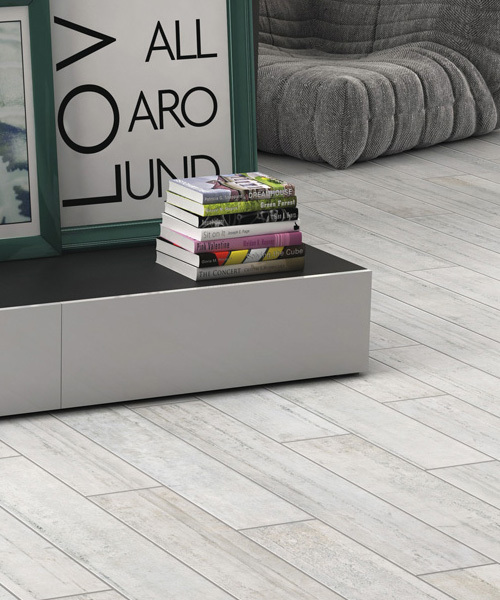 All designed to vividly bring life to a contemporary living space. 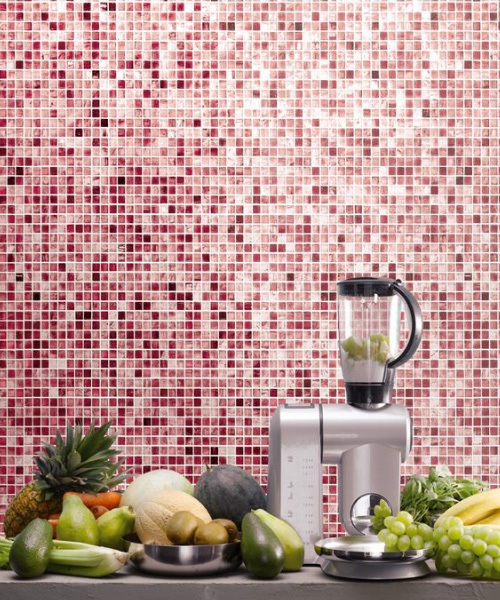 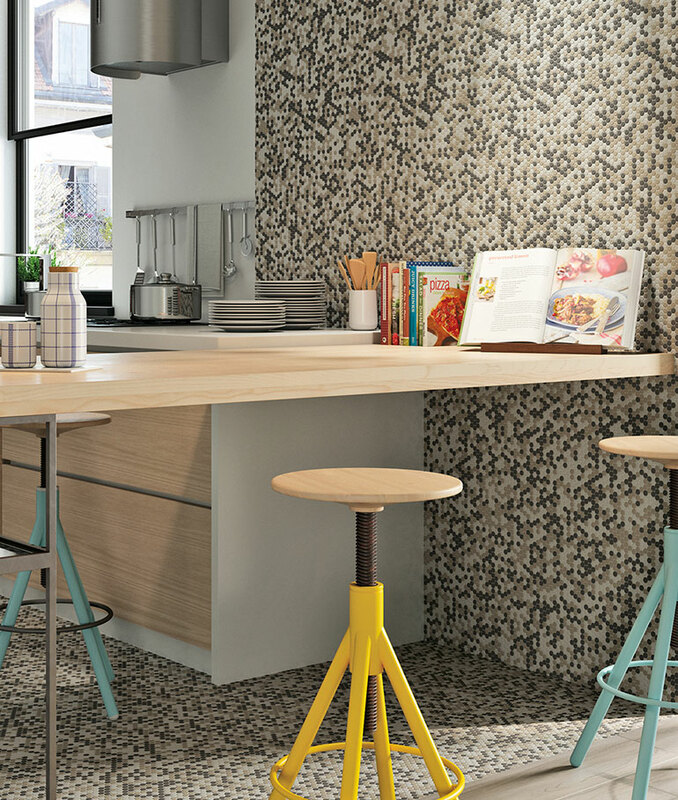 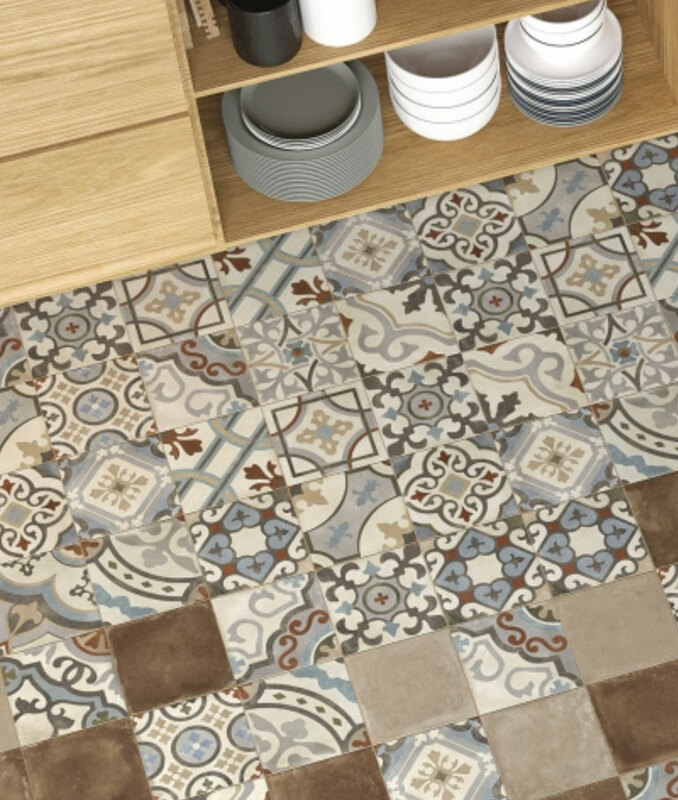 Create the mood with our range of soft and loud coloured pattern tiles. 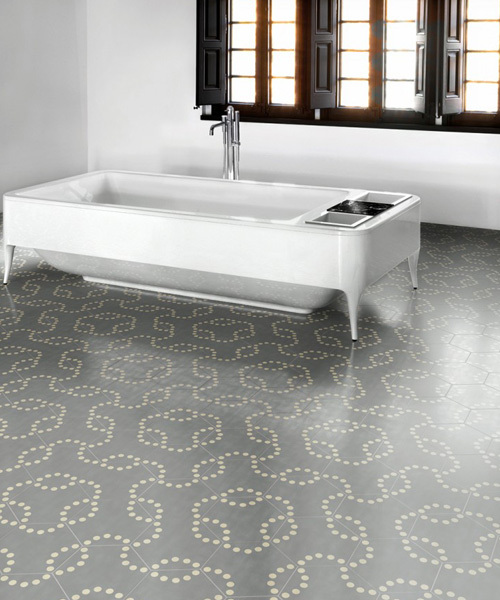 Whether be for home use or commercial use, or floor and wall selection of geometric patterns are perfectly repetitive for a seamless look. 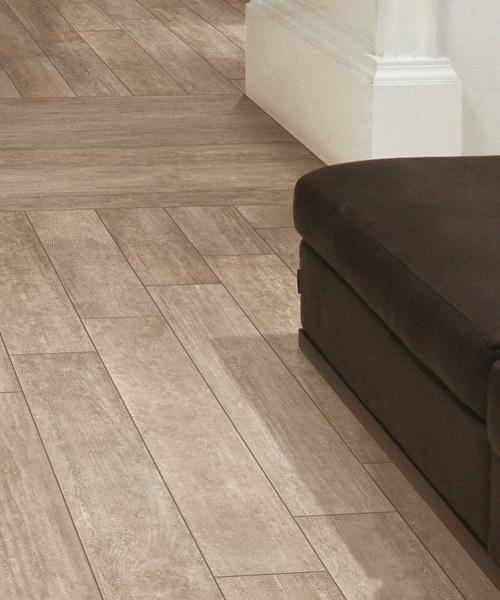 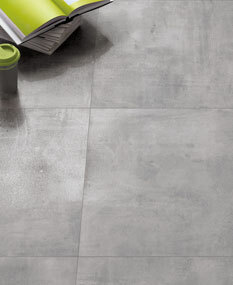 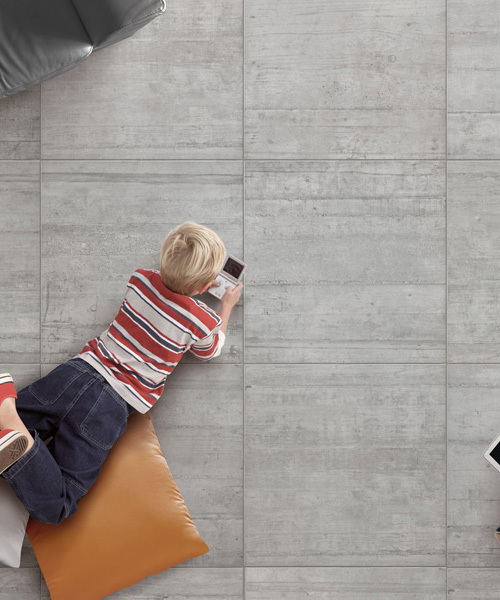 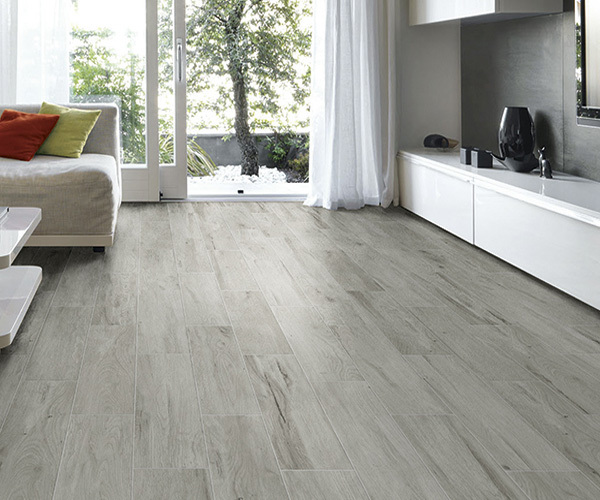 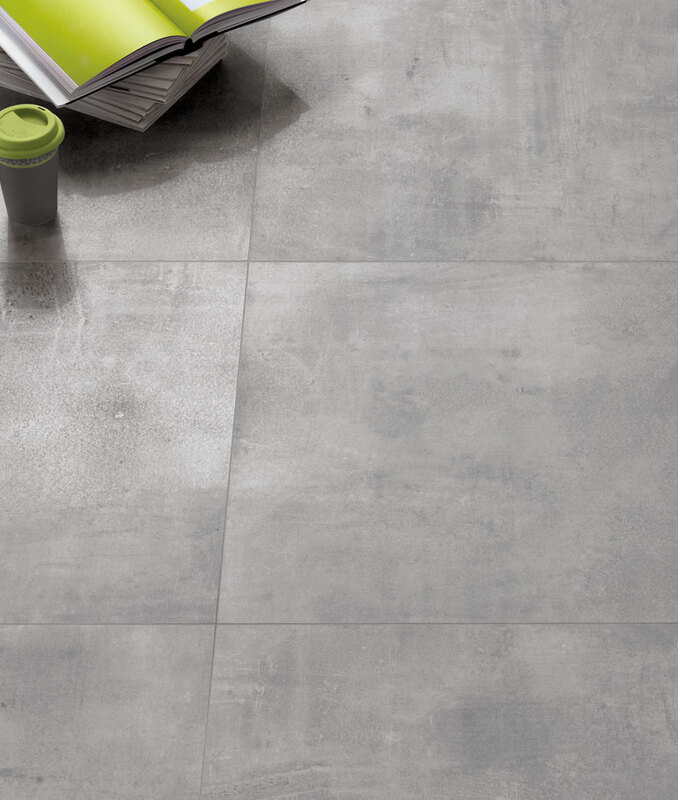 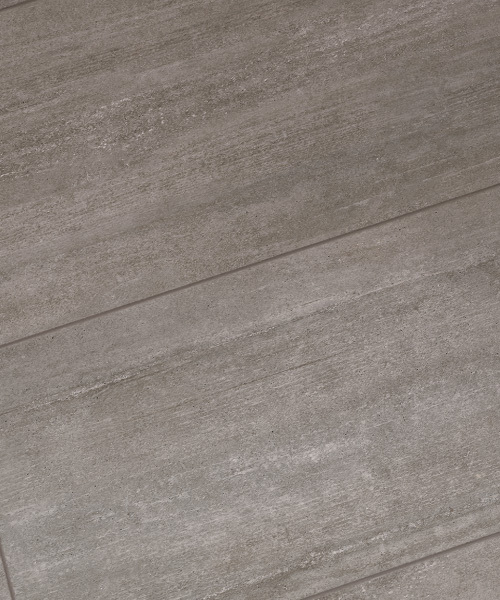 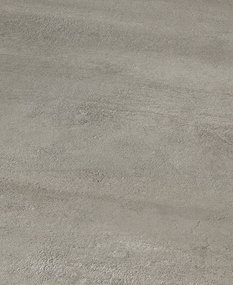 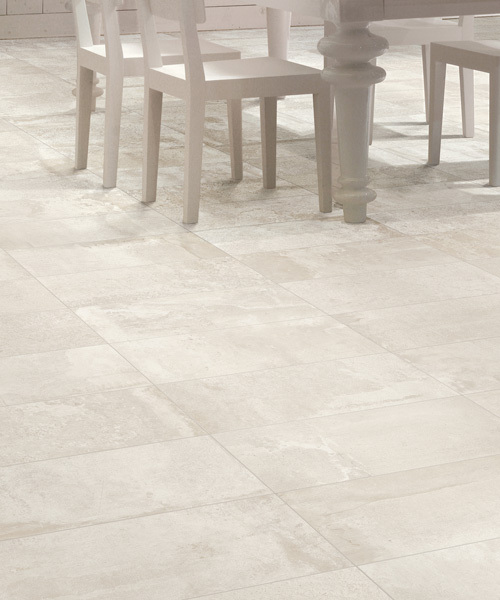 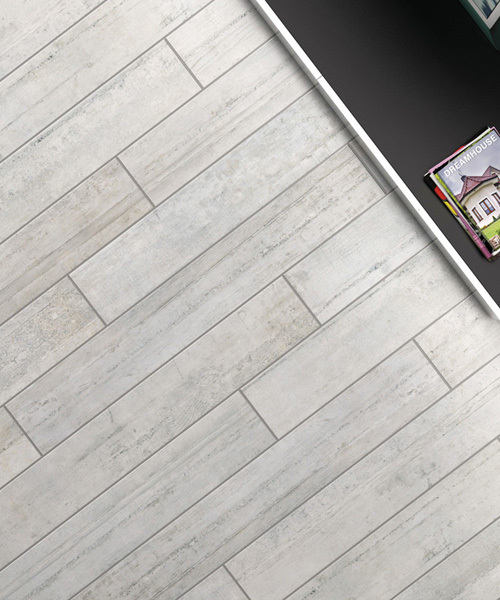 Made from porcelain stoneware our selection of realistic floor board tiles designed in various shapes and colour tones are perfect for any style of project, for use on outside floors and walls, as well for indoor homes seeking a natural minimalist style. 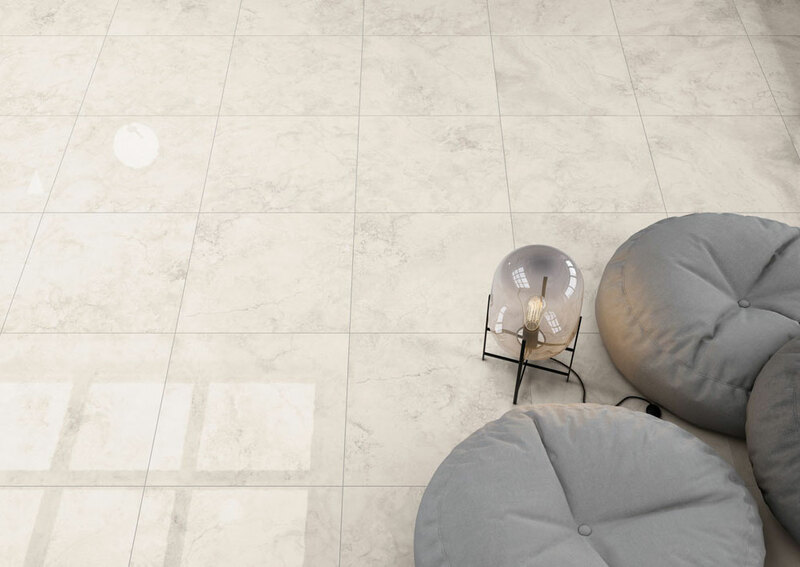 Introducing the MUSE SATIN CALCATTA – European Loft tile.This porcelain tile not only looks like natural textured marble but it is very versatile, contemporary and it comes in extra large pieces (800x800mm) for an exceptional finish. 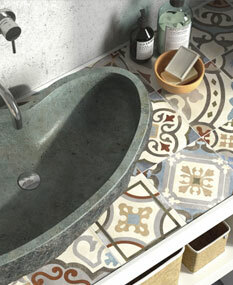 Also available is smaller sizes contact Southside Tiles for further information.